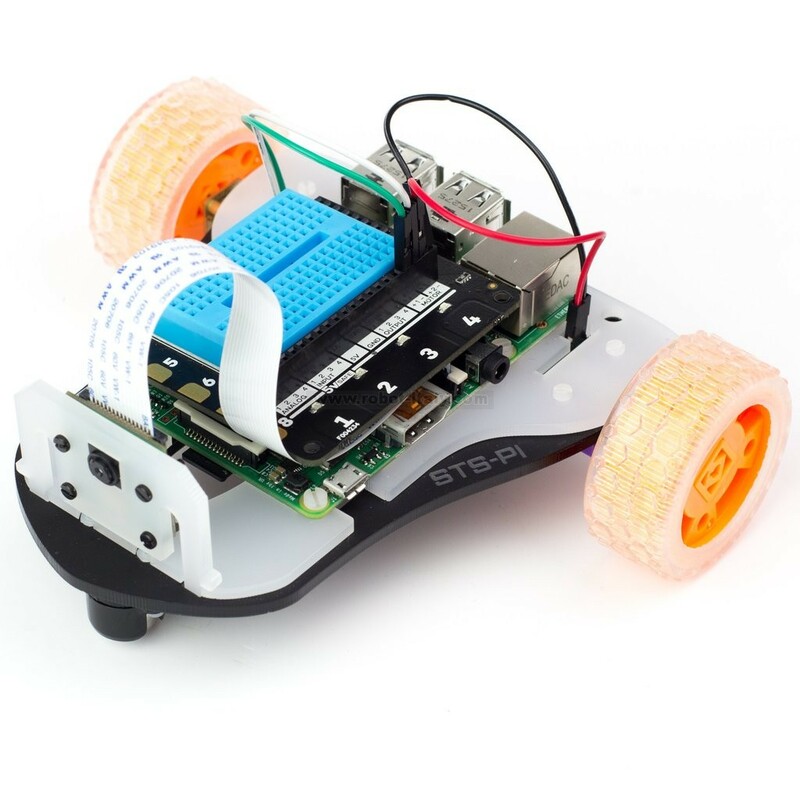 809176 STS-Pi - Build a Roving Robot! 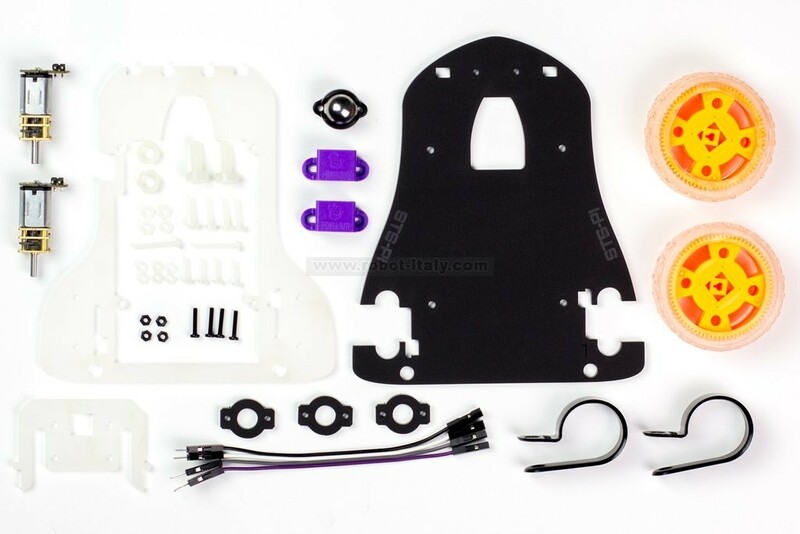 This robot chassis is designed to be used with our Explorer HAT, Explorer HAT Pro, or Explorer pHAT boards though it will work with other motor drivers! 5.... 4.... 3.... 2.... 1.... Turn your Raspberry Pi into a spaceship! The kit is a great way to introduce yourself to robots and controlling motors with your Raspberry Pi. 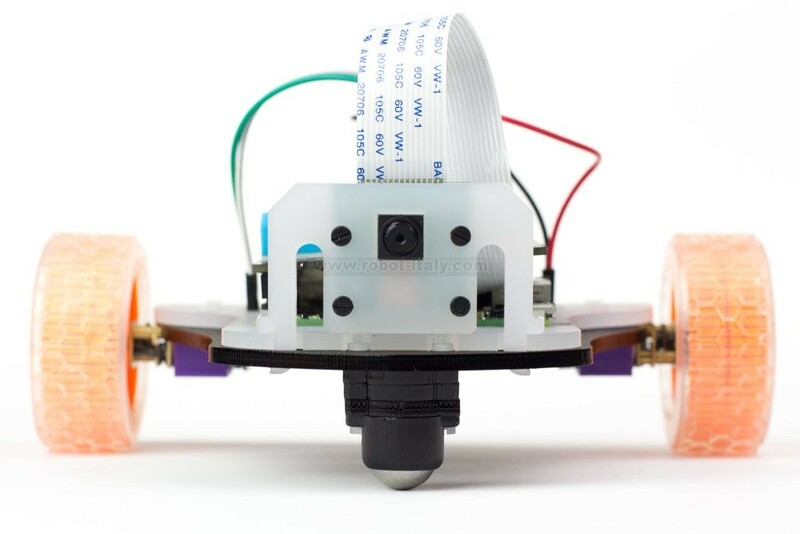 It even includes a camera mount so your little robot can take pictures while it's roaming around! There is no soldering required and the whole kit can be put together with a small flat-head screwdriver. 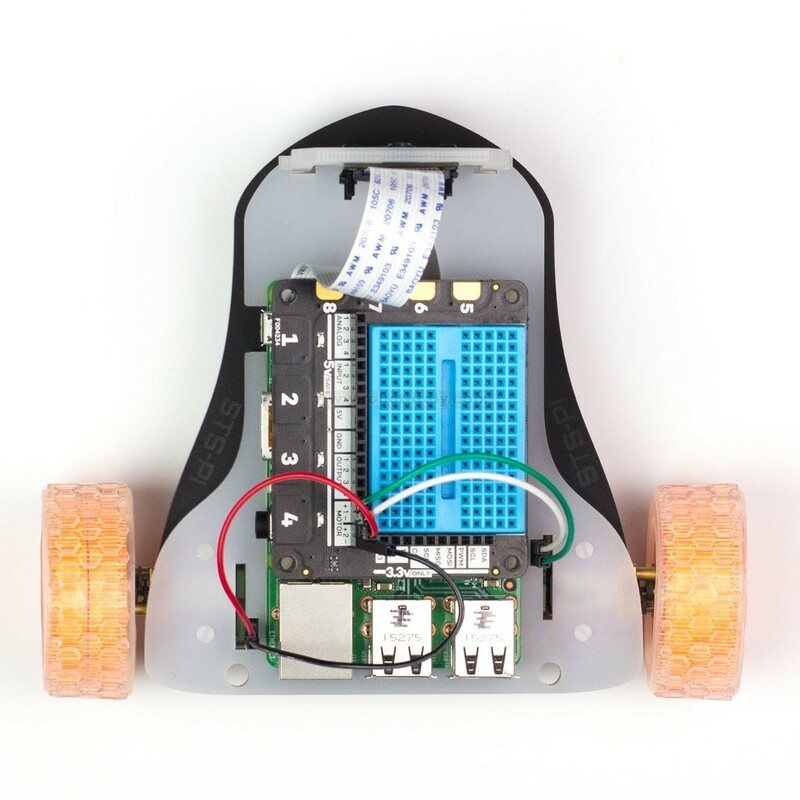 Build up your robot and program it in Python, Scratch, or whatever language you prefer! Add a USB battery pack (not included) and a WiFi dongle and you can make it roam free! Does not include the Raspberry Pi, Raspberry Pi Camera, or Explorer HAT (Pro or pHAT). Connor Plant has produced a video tutorial to help you build your STS-Pi, below. Questions on STS-Pi - Build a Roving Robot! Questo semplice progetto, illustra i componenti necessari alla costruzione dell'elettronica di un Rover a 4 ruote motrici, pilotabile tramite un Radiocomando R/C con almeno 2 canali. E' utilizzabile anche su Robot con 2 ruote motrici.